Boonton’s Model 4240 Series RF Power Meters are available as single (4241A) or dual-channel (4242A) instrument, capable of measuring power levels from –70 dBm to +44 dBm (sensor dependent) within a 90 dB dynamic range. 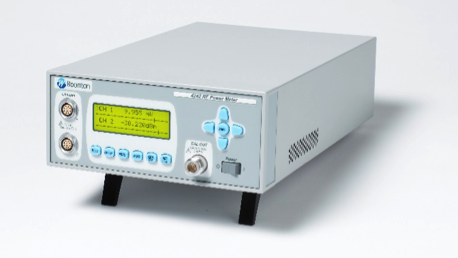 Boonton 4240 RF power meters are compatible to a vast variety of Boonton average power sensors. These instruments are very accurate and provide measurement speeds up to 200 readings per second, equally fulfilling production and lab requirements. The 4240 series displays measurement data with up to 5-digit resolution in logarithmic (dB) or linear (W) units. Numeric or bar graph display can be selected. Showing both channels (4242) allows simultaneous indication of two signals, making comparisons simple. Log or linear readouts can be selected along with +/- difference and ratios.